James Franklin emerged from the locker room into the visiting team’s interview area with dazed eyes and a flat look on his face. Reporters peeled away from other players to listen to the quarterback talk about the conclusion of Missouri’s 14-7 loss to Florida. Franklin’s stat line read 21 completions out of 54 pass attempts for 236 yards, 4 interceptions and sacked 4 times. Franklin is typically known for his poise. He doesn’t celebrate when he throws for a touchdown, he doesn’t show frustration after throwing an interception. His emotions remain constant. Regardless of how well or poorly he played in a game, Franklin is always ready and willing to speak to reporters with the same kind of poise. He’s typically talkative, almost to the point where he’ll go on tangeants about whatever the subject of discussion is. He speaks with more transparency than most of his teammates and is sure to make an almost overwhelming amount of eye contact with each and every single reporter. But completing 44 percent of his pass attempts and throwing more interceptions than he had all season turns a talkative player taciturn, an outgoing man becomes shy, a poised quarterback gives his most depressing interview. 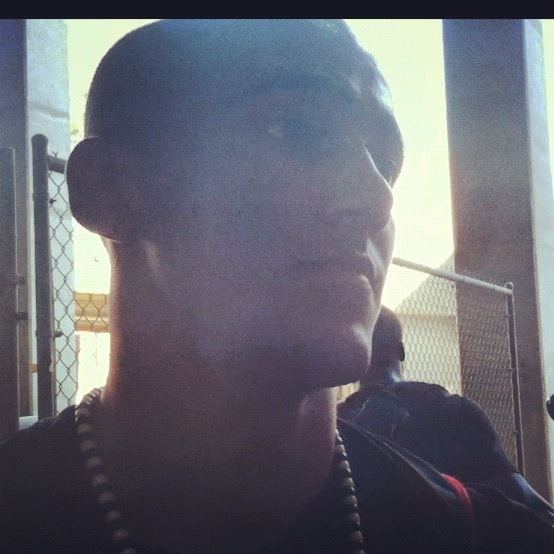 As reporters swarmed him outside of the locker room, Franklin looked off to a distance. Franklin made zero eye contact with anyone in the scrum as Gabe DeArmond asked the first question. Each of his responses seemed no longer than eight or nine words. His wide eyes drooped, his voice soft. He curtly answered questions regarding the fourth quarter opportunity he had to tie the game. With Florida up 14-7, a minute and 49 seconds left to play, Franklin would go on to complete 7 of 9 pass attempts: a sideline pass to TJ Moe, pass up the middle to L’Damian Washington, a couple deep passes to Gahn McGaffie,and a pair of sideline passes to Dorial Green-Beckham. Franklin looked efficient and chains were moving quickly. Eleven seconds left on the clock, fourth down with six yards to go on the Florida 21 yard line, Franklin throws a post pass. Instead of being caught in the hands of McGaffie, the ball finds its way into the possession of the Florida defense for the fourth time. Franklin’s head hung low from his neck as a couple of offensive linemen tried to console him. Although Franklin’s posture was perfect and his head held high during interviews, his tone was somber and his mood was at its lowest I’d seen all season. The short answers continued and the depression in his voice remained constant. Coach Gary Pinkel noted after the game that Franklin has been through a lot so far this season. He started the season fresh off of recovery from a shoulder injury, he injured the shoulder again, then injured his knee midway through the season. As a result of these injuries, Franklin was forced to sideline a couple of games (Arizona State, the second half against Vanderbilt, Alabama and the first half against Kentucky). Pinkel attributed the four interceptions against Florida to Franklin’s inability to practice consistently the last few weeks. The coach went on to say he was proud of Franklin for how he battled through this game. Franklin didn’t spend too much time doing interviews before he slowly walked toward the team bus. Franklin once told me the reason why he wanted to be a quarterback was because he wants to always have more responsibility, more resting on his shoulders than anyone else on the team. He said he would never want any other player on offense to feel responsible for faults in a game, he would rather take all the blame. Regardless of the two touchdowns the defense gave up, I’m sure his dismal attitude tonight was because he’s allowing this loss to completely rest on his shoulders, holding himself completely responsible for losing a game that was within reach, perhaps one less interception away from a win. After the story on Missouri freshman wide receiver, Dorial Green-Beckham’s, suspension took hold of the Missouri and SEC twitter-verses this afternoon, I received this direct message (above) on twitter from someone in the Mizzou football program. I sent out eight different tweets earlier regarding the information I knew about DGB’s arrest Wednesday night- the marijuana possession, who he was with, and where the arrest took place. I cropped out the person’s name in the above photo because I don’t mean to embarrass anyone. I didn’t really think I’d ever have to do something like this but I just want to clear up whatever confusion there might be as to where my “loyalties” stand. 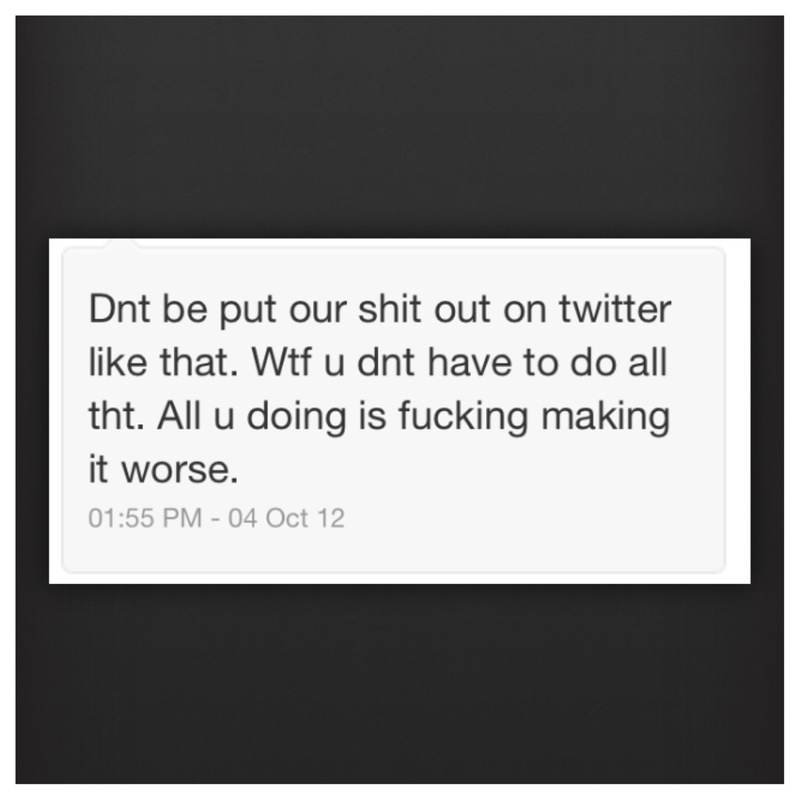 I replied to the DM saying -point blank- it’s my job. It’s my job to give people information about the Missouri football team. That’s why I was at every single open practice during fall training camp, that’s why I go to every media day, games, etc. As a reporter, it’s my job to report on the team’s accomplishments and milestones as well as its faults and failures. I did indeed graduate from the University of Missouri just this past May, but that doesn’t mean I’m a fan of the Mizzou football team. I wouldn’t be qualified to do this job if I was. At the same time, as a reporter, I’m also not out to get anyone nor do I ever have the intention of putting a player or a coach in a bad light. I simply relay information to viewers and readers and give them a better understanding of what’s happening in the Missouri football program in the best way that I can. I told this person that he nor anyone in the program should take reports personally, that he has a job to do and so do I.
Brad Todd’s nephew, Joel, was three years old when he was diagnosed with Duchenne muscular dystrophy, a genetic disorder that weakens muscle strength. By the time Joel is a teenager, he won’t be able to walk. By the time Joel is in his early twenties, he will be fighting for his life. “Once a family member comes down with something like that, you go through a range of motions. The first year, we wrote the biggest check we could for a research organization,” said Todd. Todd – a Missouri School of Journalism graduate- first got the idea to start Coach to Cure Muscular Dystrophy when he was watching college basketball. Coaches wore sneakers with their nice suits for Coaches vs. Cancer, a day in college basketball devoted to raising cancer awareness. Todd realized that football didn’t have a day like that, so he took his idea to the American Football Coaches Association in 2008. 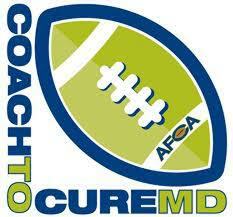 This year, 564 football coaches will participate in Coach to Cure MD, including Mizzou football coach Gary Pinkel. Coaches will wear large patches on their sleeves promoting the foundation. Pinkel has participated in the event every year since it started. Todd says he’s grateful for Pinkel’s support. The University of Missouri’s involvement with MD doesn’t stop on the football field. Just recently, the university was given a research grant of $294,000 for Dongsheng Duan, Ph.D. to continue his work with finding a way to treat Duchenne muscular dystrophy.